James “Jim” Lloyd Lincoln Bartlett, 82, passed away at his daughters’ home on Tuesday, October 23, 2018 with his family by his side. Jim was born on February 12, 1936 to Jesse and Edna (Anthony) Bartlett in Muncie Indiana. Jim married Ernestine King on June 25, 1964. He worked for ACME Warehouse and Muncie Paving. Jim enjoyed life and never complained. 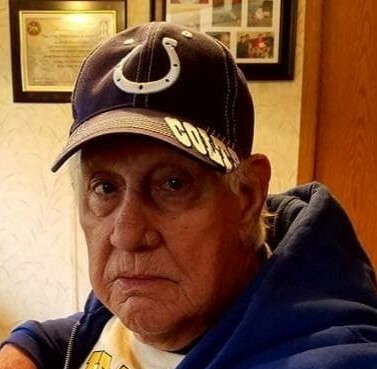 Jim was an avid sports fan and loved cheering on the Colts, Pacers and Reds. He loved flowers, his children and grandchildren. Jim is survived by his wife of 54 years Ernestine Bartlett, four children: Peggy Workman (Jim) of Ohio, Paula McCown (Robert) of Muncie, Jesse Bartlett (Cory) of Muncie, James Bartlett (Patty) of Muncie, six grandchildren: Robert McCown (Brittney), Urlyn Bartlett, Virginia Wright (Zac), Ashley Brown (Alex), Jeremy Gatten, and Joshua Meeks, five great grandchildren and two on the way, and a sister Carolyn Melton. Jim is preceded in death by his parents and a daughter: Candy Chambers, two brothers: Ernest Bartlett and Clinton (Fred) Bartlett, three sisters: Mary Lynn, Irene Pearson and Sylvia (Marie) Morgan. A funeral service will be held on Friday, October 26, 2018 at Parson Mortuary at 1:00 pm with Pastor Kenneth Dodson officiating. Friends may call from noon until the time of service on Friday. The family would like to thank the IU Ball Memorial Hospital staff for the care that they gave Jim.